Criminal Law uses a two-step process to augment learning, called the applied approach. First, after building a strong foundation from scratch, Criminal Law introduces you to crimes and defenses that have been broken down into separate components. It is so much easier to memorize and comprehend the subject matter when it is simplified this way. However, becoming proficient in the law takes more than just memorization. You must be trained to take the laws you have studied and apply them to various fact patterns. Most students are expected to do this automatically, but application must be seen, experienced, and practiced before it comes naturally. Thus the second step of the applied approach is reviewing examples of the application of law to facts after dissecting and analyzing each legal concept. Some of the examples come from cases, and some are purely fictional. All the examples are memorable, even quirky, so they will stick in your mind and be available when you need them the most (like during an exam). After a few chapters, you will notice that you no longer obsess over an explanation that doesn't completely make sense the first time you read it—you will just skip to the example. The examples clarify the principles for you, lightening the workload significantly. 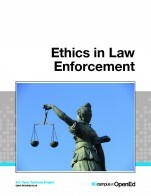 Introduction to Criminal Investigation, Processes, Practices, and Thinking, as the title suggests, is a teaching text describing and segmenting criminal investigations into its component parts to illustrate the craft of criminal investigation. 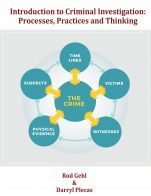 Delineating criminal investigation within the components of task-skills and thinking-skills, this book describes task-skills such incident response, crime scene management, evidence management, witness management, and forensic analysis, as essential foundations supporting the critical thinking-skills of offense validation and theory development for the creation of effective investigative plans aimed at forming reasonable grounds for belief. The goal of the text is to assist the reader in forming their own structured mental map of investigative thinking practices. Chapter 7 from BCCampus open textbook Introduction to Sociology – 1st Canadian Edition. Description from the University of Minnesota: Social Problems: Continuity and Change is a realistic but motivating look at the many issues that are facing our society today. As this book’s subtitle, Continuity and Change, implies, social problems are persistent, but they have also improved in the past and can be improved in the present and future, provided that our nation has the wisdom and will to address them. 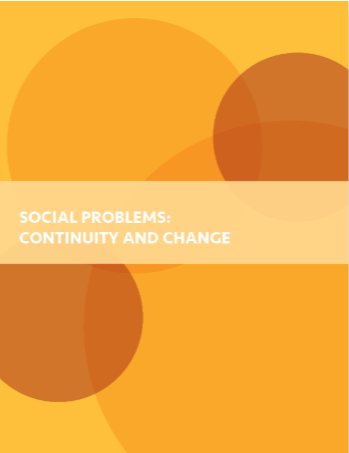 Social Problems: Continuity and Change by University of Minnesota is licensed under a Creative Commons Attribution-NonCommercial-ShareAlike 4.0 International License, except where otherwise noted. 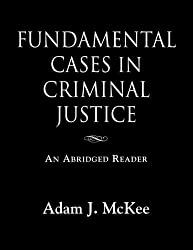 Professor Adam J. McKee, from the University of Arkansas at Monticello, authored several books in Criminal Justice. You can access the HTML versions by clicking on the links below. These books are also available at low cost on Amazon. NOTE: these books are NOT Open Educational Resources, but they can be used and uploaded into your Canvas account with authorization from the author. Please check the author's license here, or contact our OER librarian, Juliana Magro, if you have questions. 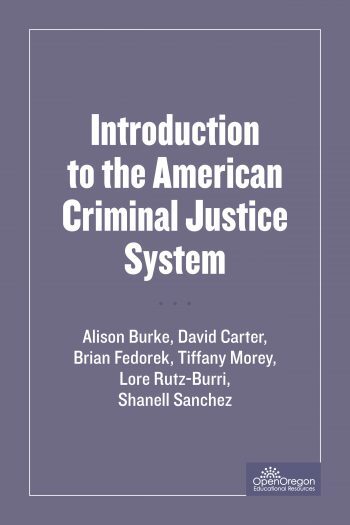 This text is designed as a first course in criminal justice. It covers police, courts, and corrections, integrating the juvenile justice system. NOTE: this book can be freely distributed, but under its license, you are not allowed to make any derivatives (remixes, adaptations, or translations).